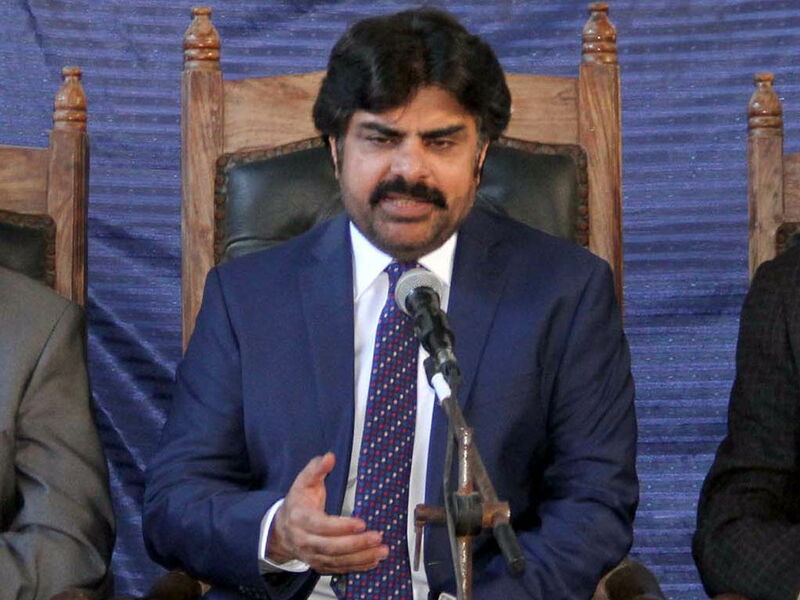 KARACHI: Sindh Minister for Information, Labour and Transport Syed Nasir Hussain Shah on Thursday visited the Karachi Press Club (KPC) here and met the newly elected body and members of governing body. He was accompanied by Secretary Information Imran Atta Soomro, Secretary Transport Saeed Ahmed Avan Director Information Dr. Muizzuddin Pirzada, said a statement. He was welcomed by President Ahmed Khan Malik and Secretary Maqsood Ahmed Yousufi and others. The Minister presented bouquet to the President Ahmed Khan Malik and Secretary Maqsood Ahmed Yousufi respectively. Syed Shah remained with them for some time and has congratulated the newly elected office bearers and members of governing body. The Secretary Maqsood Yousufi introduced the office bearers and members of governing body, apprised the democratic process and trends in the press club elections. Secretary Information Imran Atta Soomro has also appraised the progress of health card for Journalists and said that it would be finalized in couple of days. The Minister has also assured that residential schemes, grant and other matters would also be resolved on priority, in this regard a joint meeting will be arranged with Minister Local Government Jam Khan Shoro very soon to settle the issue on priority.